If you find yourself continually making adjustments to your bike or other mechanical devices around your home or office. 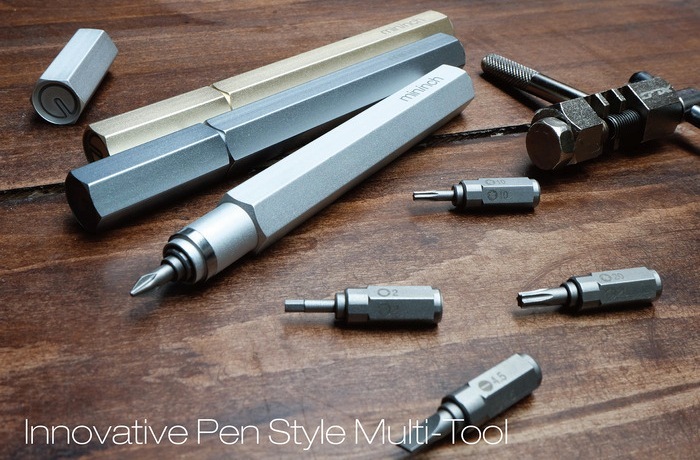 You might be interested in a new versatile multi tool which is called the Tool Pen, that uses a tip storage function that may be familiar to some of you. Tool tips within the Tool Pen can be ejected by pushing down on the tooltip protruding from the top of the pain cylinder. Which then pushes out the bottom tooltip for it to be placed back into the top of the cylinder to reveal the next tip in line. This can be repeated until the tooltip you require is revealed at the bottom of the pen cylinder. “We use tools very often, loose the bolts, tighten the screws, or make something repaired. However, we always store these tools in drawer or somewhere without conspicuousness, because most of them are so heavy, bulky, and ugly!! You don’t want to carry them in your bag or pocket, not to mention showing off with others. 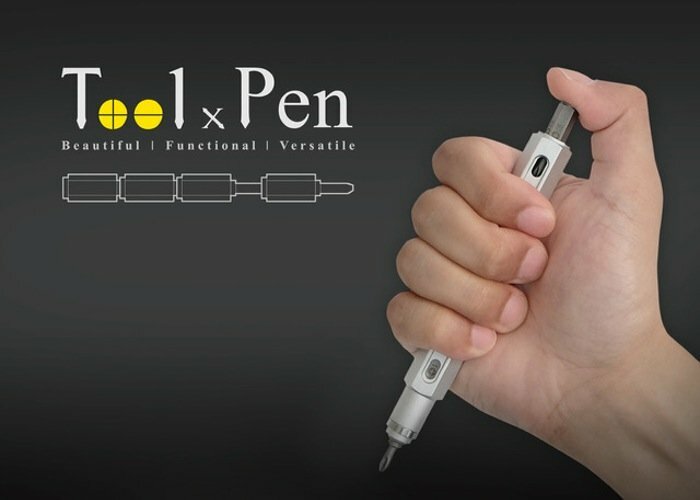 The Tool Pen project is currently over on the Kickstarter crowd funding website looking to raise enough pledges to make the jump from concept to production. So if you think Tool Pen is something you could benefit from, visit the Kickstarter website now to make a pledge and help Tool Pen become a reality.